Sneaking away to the mountains last week was the perfect way to kick off summer. Warm days made for plenty of outdoor time, and cool rainy evenings gave me some quiet time to sew. Shopping my stash before I left home, I came well prepared with some of my favorite prints. [from left to right - 1: Robert Kaufman (Metro Living), 2: old remnant from my stash, 3+4: Anna Marie Horner (Innocent Crush), 5: Sharon Evans Yenter (Julianna), 6: Michael Miller (Antiquity Old Script)]. A couple of weeks ago I mentioned that I want to make some custom pillows for my new sewing room. 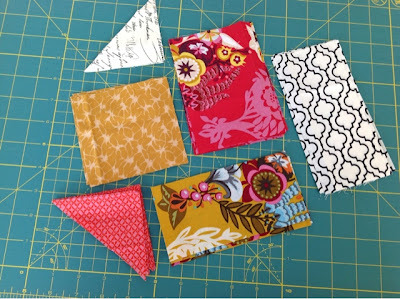 Inspired by the Solstice Star Series by Fresh Lemon Quilts, I thought this small project would be the perfect time to experiment more with foundation piecing/paper piecing. I spent a fair bit of time planning out my fabric placement and then began cutting out all of my pieces. 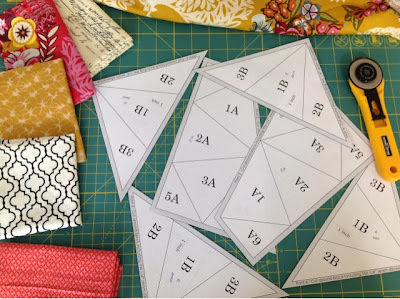 Having had only limited experience with paper piecing in the past, I found Faith's tutorials to be extremely helpful. 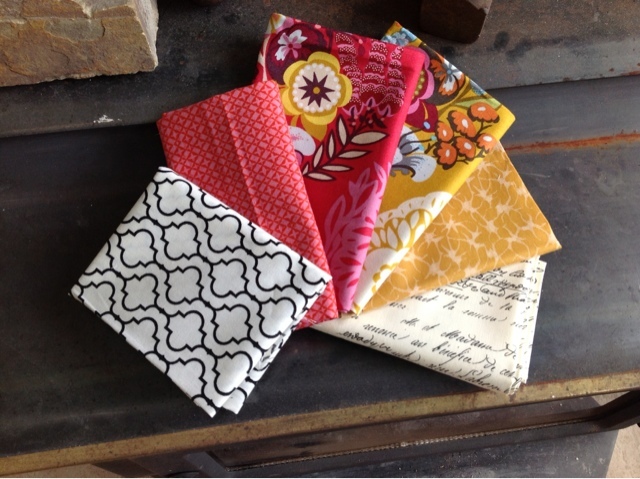 Altogether I am pretty thrilled with how these pillow tops have come together. Later this week I plan to quilt them up, and add backing and a zipper to each.